"Cartoon Network Cancelled a Show Because It Was Too Focused on Girls." Jezebel's Kate Dries has the depressing scoop on why "Tower Prep" was cancelled in 2011 after just one season. "Tower Prep was a live action show about teens with special abilities who go to a school that helps them develop those skills, sort of like the Power Rangers meets Agent Cody Banks. In a conversation with Kevin Smith on his Fatman on Batman podcast, show creator Paul Dini explained that that shows like Tower Prep get cancelled because it's difficult for the networks to figure out how to monetize female characters. This is because apparently young women, 'Do. Not. Buy. Toys.' And when Dini was working on Tower Prep, Cartoon Network apparently pushed back against his development of his female characters because they couldn't figure out how to make money out of it." "Cine-List." 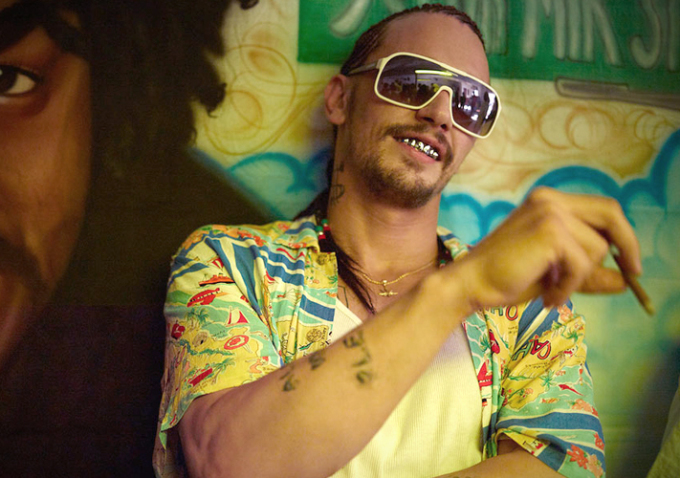 For Thompson on Hollywood, Beth Hanna compiles the ten best movie quotes of 2013. "The quote: 'I apologize for my appearance. I have had a difficult time of things these past many years.' Who said it: Chiwetel Ejiofor, as Solomon Northup, in Steve McQueen’s '12 Years a Slave.' Why it’s so great: This near-final line in John Ridley’s screenplay is not only a pointed understatement (more than a decade of slavery is a “difficult time”?) but also a mark of Solomon Northup’s remarkable will, and his refusal to stoop to self-pity in the face of horrific circumstances." "The Welfare Queen." Slate's Josh Levin reports on the other sins of the woman villified by then-presidential candidate Ronald Reagan for bilking the government. Her story's got the makings of a tremendous David O. Russell film. "In the 1970s alone, Taylor was investigated for homicide, kidnapping, and baby trafficking. The detective who tried desperately to put her away believes she’s responsible for one of Chicago’s most legendary crimes, one that remains unsolved to this day. Welfare fraud was likely the least of the welfare queen’s offenses. For those who knew her decades ago, Linda Taylor was a terrifying figure. On multiple occasions, I had potential sources tell me they didn’t think I was really a journalist. Maybe I was a cop. Maybe I was trying to kill them. As Lamar Jones tells me about his brief marriage to the welfare queen, he keeps asking how I’ve found him, and why I want to know all of these personal details. If I’m in cahoots with Linda, as he suspects I might be, he assures me that I won’t be able to find him again. He’s just going to disappear. Those who crossed paths with Linda Taylor believe she’s capable of absolutely anything. They also hope she’s dead." "The Worst Trend of the Year." 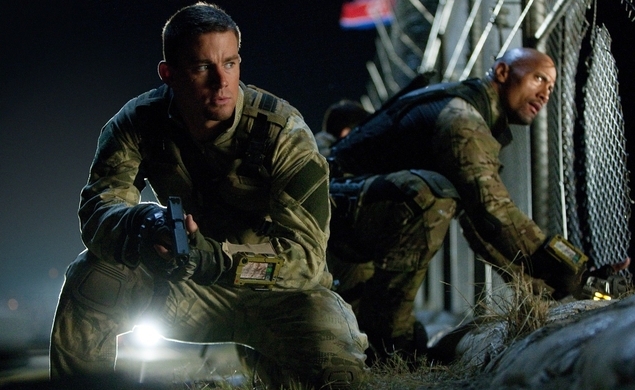 The Dissolve's Matt Singer thinks the scourge of 2013 cinema was its terrible movie titles. "The only thing worse than these endless colon-filled titles are the endless colon-filled titles that leave out the colon. That includes grammatical nightmares like Oz The Great And Powerful and off-putting almost-sentences like Star Trek Into Darkness. If it’s Terminator Salvation instead of Terminator: Salvation, does that mean the terminators are the ones who need salvation from the wicked humans? Or is it about a particular terminator named Salvation? It’s a little confusing." "Reasoned Arguments." 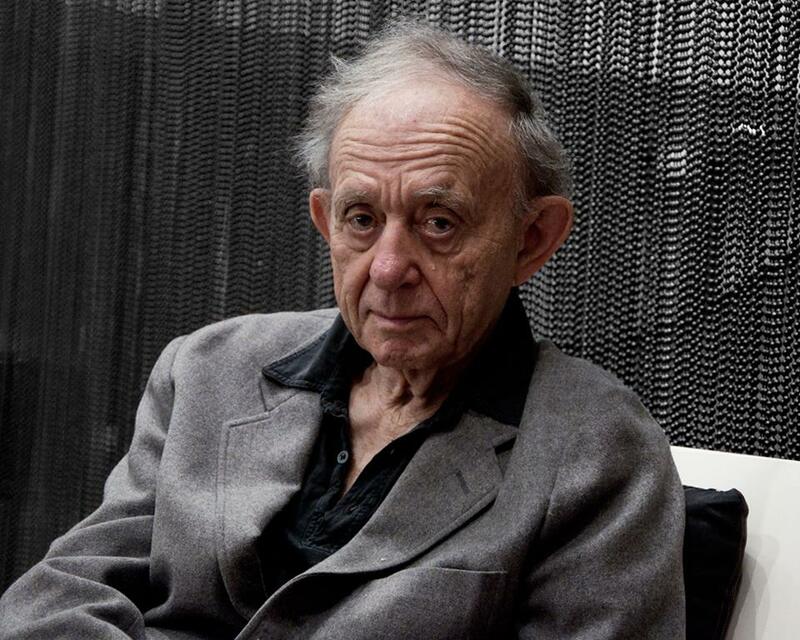 For Senses of Cinema, Darren Hughes talks with "At Berkeley" director Frederick Wiseman. Some of those cabinet meetings were an hour and a half, two hours. In the film, it’s six, seven, eight minutes. I have to edit them so they appear as if they took place the way you’re watching it, even though it’s 30 seconds here, five seconds there, and then I jump twenty minutes ahead. But I have to edit in such a way that it looks like it all happened the way you’re watching it. So that’s within the sequence. Between the sequences I have to figure out the overarching themes and the dramatic moments. An abstract way of describing what I tried to do is I tried to cut it at right angles so you’re always surprised by what comes next. And at the same time, in terms of the rhythm of the movie, I have to think about quiet moments. I mean, after a dramatic scene I don’t want to go to another dramatic scene, so I may use cutaways of the campus or whatever. 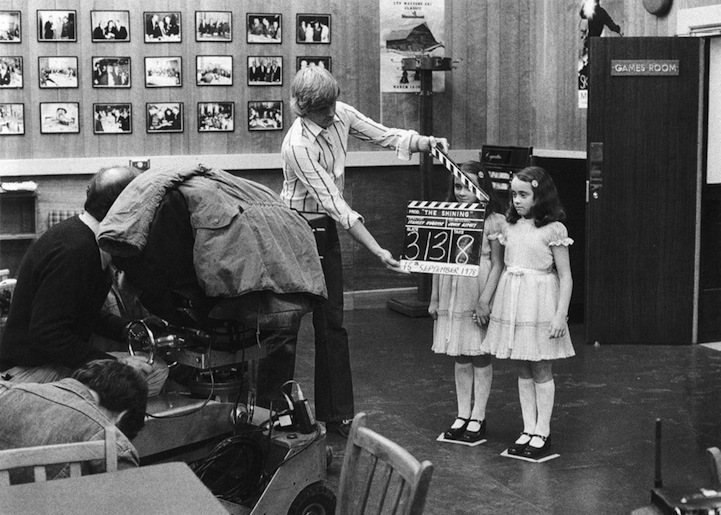 "The Shining," behind the scenes.